Always a reminder for myself, ana abda kul ajiz wa da’if wa miskin wa zhalim wa jahl. That by the grace of Allah (AJ) that we are still in existence. Alhamdulillah, from the heart of Sayyidina Muhammad ﷺ, Mawlana Shaykh is teaching and teaching us the way of the Arifeen, the way of the Heavens. That Allah (AJ) wants us to look at the horizon and then look within ourself to understand the reality within ourselves. 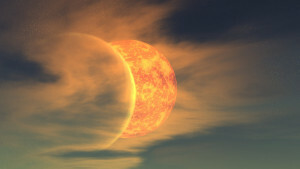 The reality of the Shams wal Qamar, the Sun and the Moon, to understand guidance, and a path of guidance, this has been the subject that they keep teaching here. That everyone has an understanding of what guidance will be. And Allah (AJ) has the best of teaching for us that guidance and the way of itibah (obedience), the way of following, the way of realities is to look to My Heavens. That you see the Sun and you studied then the reality of the Sun, what the sun represents, the light, the reality of eternity, and how everything is nourished and blessed by that sun. 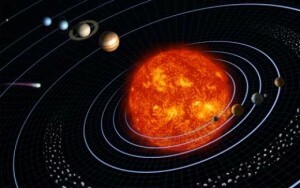 Then Allah (AJ) says, that light is supreme and I made all of these planets circumambulate that sun. 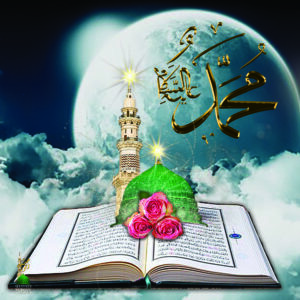 For you, your example in life of guidance is the qamar (moon). 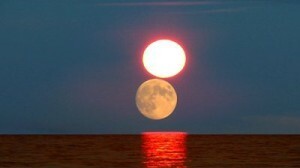 The way of the moon which takes a path in which to follow the sun. Everything else in this life will come as a distraction; everything will distract us to go right and to go left. 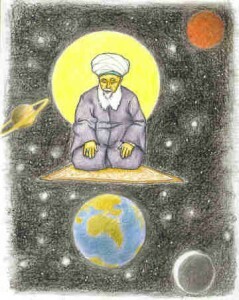 The moon has a tremendous teaching, there are awliya (saints) who are in charge of that station. As soon as we begin to focus on that reality, that ‘maqam al fardani’ that ghawth, the sultans they begin to inspire. Are you thinking of my maqam (station)? You are looking at my maqam (station)? I am going to begin to teach you. Anything that you focus on and you read and understand, it focuses on you. So the maqam al fardani, the gawth begins to teach. 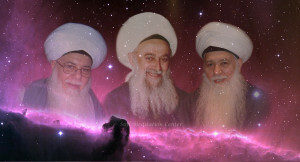 That there are stars and these are awliya (saints). 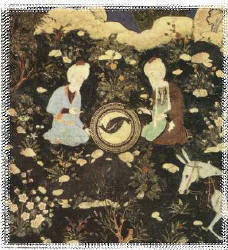 There is the moon, which is ‘maqam al fardani’ which is the gawth, which is the sultan of the awliya (saints). That sultan (king) takes from the shams (sun). That sultan that takes from the shams is in charge of the inhabitants of this Earth. How the moonlight is coming and blessing everything on Earth? So for us to understand if we want to be from the moon, which are awliyaullah. 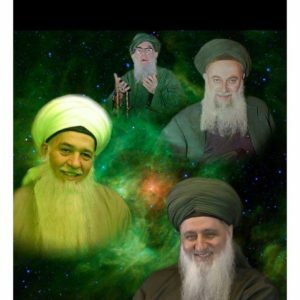 Our shaykhs, Mawlana Sultanul Awliya Shaykh AbdAllah Faiz ad-Daghestani, Sultanul Awliya Shaykh Muhammad Nazim al Haqqani, Sultanul Awliya Mawlana Shaykh Hisham Kabbani, these are huge awliya (saints). We say fardani but they are even beyond that understanding. But for us to understand, they say the Gawth and the Gawth was only one. No, you are incorrect, you don’t understand anything. The Gawth is the one who is in charge. Awliyaullah and the stations of awliyaullah is not a person. You don’t say one shaykh is the Gawth and that is the only shaykh that was the Gawth. No, you don’t understand. So when kindergarden people try to explain the haqaiqs (realities) of awliya (saints), it doesn’t sound right. Use your aql (brain). It is a chair, it is a position, it is a Muhammadan Government. There is a sultanate, there is a House of Commons, there is a House of Lords, and there is a speaker of the House. Every government you have on Earth is a reflection of Allah’s Government. Why you think Allah (AJ) says: ‘O in Heavens we are not organized but you people on Earth, why don’t you show us how to organize? That was a joke. Right? Because people on Earth are crazy, they don’t know how to organize anything. Even in their elections when they don’t accept, they beat each other up in Parliament. Did you see it on Facebook when they vote and they don’t like each others vote, they start beating each other up in Parliament. Allah’s (AJ) Government is supreme. The supreme Sultan for all of Creation, Sayyidina Muhammad ﷺ. Mawlana Shaykh describes it like a pyramid, that that Gawth and that position of Gawth is a chair, is a position of authority. 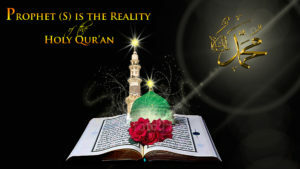 When one sits upon that authority and they reach to that level of reality, they are taking from what Allah (AJ) gave. They take from the surat. They take from the face that never perishes. Awliyaullah come into our lives and describe this is the face and the eternal reality of Sayyidina Muhammad ﷺ. What we said in these nasheeds, your surat and your ayat…in Holy Qur’an what do they say? Prophet ﷺ is walking Qur’an. From its names Allah (AJ) is calling a surat, what face? 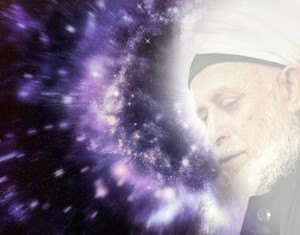 It is the face of Allah’s (AJ) Most Beloved. It is a tajalli (manifestation), a dress, it is a reality. Every ayat, ayat means ‘sign’. The greatest of Allah’s (AJ) Signs is Sayyidina Muhammad ﷺ. 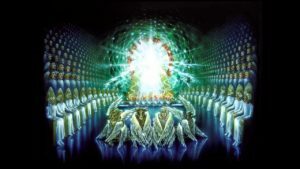 This means then that holy face looks to that position of authority, and from that light everything is transmitted down like a waterfall to who is the imam of the right and who is the imam of the left. Those are chairs, not people, authorities. Allah (AJ) describes them on the yawm al mahshar (day of gathering)that “they have couches and thrones”. Who? These sultans because when the sultan retires means he passed away, he doesn’t lose his couch, he didn’t lose his arsh (throne), he didn’t lose his kursi (chair). Allah (AJ) sets it aside for him but now your job on this physical someone else is coming, because you have been raised now into the Heavens. Then Allah (AJ) sets aside for them a kursi (chair), sets for them an arsh (throne), sets for them their chairs and couches reclining. But as soon as that Gawth passes away, from among the living awliyaullah (saints) there must be somebody sitting on the chair. There is no chair empty in this Muhammadan Government. When the physicality passed immediately the next one in this line who has been trained all their lives, they are moving up. When they are at this level at the base of the pyramid, they are being trained by their soul with responsibilities. When they move up they are being trained by their responsibility. The imam of the right and the imam of the left, they have been given all those responsibilities. There is not somebody who comes up from the bottom and shoots up and there is not somebody who passes away and the chair is left empty. This has nothing to do with tariqa (spiritual paths). This has nothing to do with the names of tariqas. There are awliyaullah (saints) whom you don’t know them in any tariqa. They may be just sitting at the end of the masjid (mosque) doing what Allah (AJ) wanted them to do. The turuq (spiritual paths) and tariqa are finishing schools. They train these potential candidates whom Allah (AJ) has destined, “Have good manners, and have good character and supreme above all, love Allah (AJ) and love Sayyidina Muhammad ﷺ.” They become trained from childhood, adulthood, or from middle age. Whenever Allah (AJ) inspiring that this one of My Awliya (saints) is going to be coming and send them now into that training school. Those who achieve what Allah wanted them to achieve, they come from amongst those schools. But they are not to be confused the same as the government. It’s a finishing school. Some come from Shadaliya, some come from Rifayi some come from Qadiri, some come from Naqshbandi. But the Muhammadan Government is the Muhammadan Government. That chair is never empty. 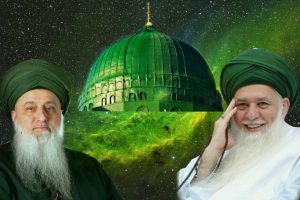 Some people were asking when Sayyidina Abdul Qadir Jilani (q) was describing ‘my foot on the neck of awliyaullah’ Mawlana Shaykh described many times, that is a station. That is not a position only for his personality. But this station of Gawth and that station of sultanat, all awliyaullah (saints) are under the authority of that king. That king takes his isharat (sign) from Prophet ﷺ directly. 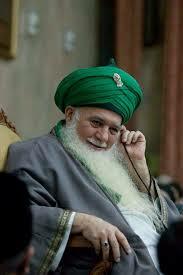 That is why Mawlana Shaykh put the footprint on our turbans, badge of Sandal of Sayyidina Muhamamd ﷺ. And they don’t know and they go and spread fitna (confusion). They don’t know anything about tariqa (spiritual way). Prophet ﷺ warned that, “Don’t take the ignorant as your guides and guidance.`They are like making war in front of Allah (AJ),” because they come and say horrible things against pious people. Stay away from those whom Allah (AJ) is going to make war against them. You don’t even know what the Sultan al Awliya was bringing. 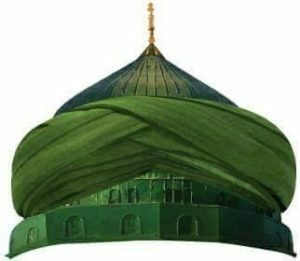 When we were singing and reciting ‘The Green Dome of Madina, the Green Dome of Madina, the Green Dome that all light vanishes in that light…why do you think then Sultan al Awliya made the Green Dome? The Gumbad khazra, these green turbans. The moment the Green Dome becomes visible, the nature of Servanthood will change. 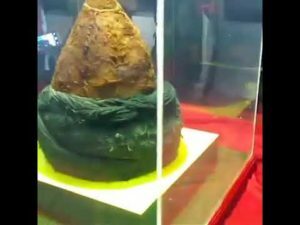 Sultan al Awliya brought this, see that foot, the Nalain? 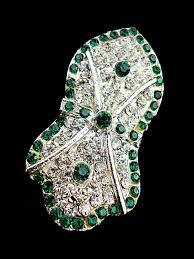 The Holy Footstep, as a reminder for us keep your whole life at the feet of Sayyidina Muhammad ﷺ. Be an inheritor of Qadam al Haqq and his Companions Qadam as-Siddiq. Make your life to be muqaddam, those who walk on that path. And we walk with that on our head everywhere, with his dome. These are ashiqeen (lovers). 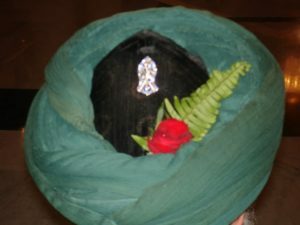 This turban was a symbol of that love. It means they brought everything for us and these positions and these authorities are beyond imagination. When one passes, the next will inherit. And they come to the turuq (spiritual way) to understand good character, good manners. From Surat YaSeen the heart of Holy Qur’an, the heart of Sayyidina Muhammad ﷺ. Surat YaSeen Chapter 36 verse 40. 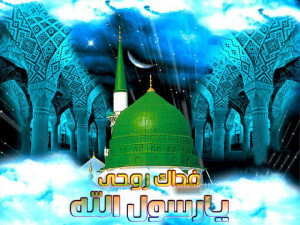 S adaqallah azheem wa balaghta rasul al karim. Bismillahir Rahmanir Rahim, “It is not for the sun to overtake the moon nor does the night outstrip the day,” means nor does the moon overtake the sun, “each of them float in their own orbit but the fuluk is a ship,” yasbahun, like orbits like tracks “that they are ships, the ship is moving on a track,” and teaching that their whole life is to never overtake. 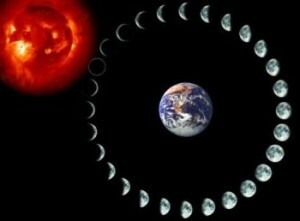 This means that the moon and those who are training to be a moon their whole life will be a training that: don’t overtake the sun, don’t overtake your position, stay at your had (limit). The moon should never in its thought…and the students who are trying to be moons should never think that they are going to outtake their shaykh, that they are not going to shine more than their shaykh. They are not trying to overtake. The moon is continuously reminding that this light that people see from you, the moon, the awliya (saints) of that moon are teaching that this light that is reflecting from you is not yours. It is not a station that you praise yourself, this is not the work world. In the business world and work world, you try to get ahead and be recognized and show yourself in everything. That is dunya (material world). In akhirah (afterlife), you don’t show yourself as anything, and you are never try to outrank your shaykh or even give the appearance of that or give even the impression of that, that you are something special. The moon comes to remind us: be nothing, be nothing. Don’t show yourself as anything. If whatever he bestowed upon you there is a time and a place for everything but don’t outshine. Don’t try to make yourself more than what you are, keep yourself at your had (limit). If people become confused then it is your responsibility to put yourself back in your place. It means don’t go out and represent yourself as something independent. Don’t represent yourself as a sun. Don’t do things that make it to be arrogance. Then the turuq (spiritual way) come and teach everything about character. Why is this happening, why are these things happening in life? Because everything around us is pushing, even your family is fitna (confusion) for you because they keep pushing that it is you, it is you, it is you. You apply that into the dunya world that is one thing, but you apply it into the spiritual world then you are going to be crushed, you are going to be crushed. Where Allah (AJ) is warning: stay within your orbit, stay at your had (limit) and understand your testing. That is why the moon has many beatings upon it. The moon is continuously bombarded, continuously bombarded, so at any moment something tries to grow on it, something tries to inhabit it and to make the moon to deviate, Allah (AJ) sends the pelting, and the pelting and smashing. This way is a school for qamarun, this way is a school to be nothing, continuously to efface ourselves to be nothing. That, to efface ourselves and understand our characteristics. That the worst and the most difficult of characteristics is pride and arrogance.That, if pride and arrogance should enter into the heart it begins to make the servant to be angry. That is why we all reflect that, “I don’t know what the shaykh is talking about,” but the teaching is to reflect upon ourselves. Why do we become angry? Why do we become confused on holy nights? And that has to do with pride and arrogance. Why is it that I don’t want to listen to anyone? Pride and arrogance. 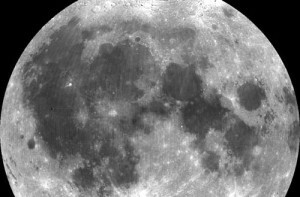 Why does the moon…is giving isharat, why does the moon think it is something special? You took a path in which to be bombarded so that you can shine as a reflection of that reality, but not to be the reality, you are nothing. 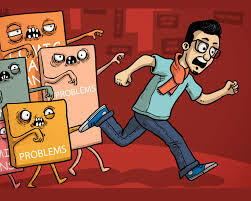 Then everything in our life comes to teach: why do I get upset at the center, why is it that something happens at the centre and I become angry? Why? Because of pride and arrogance. And the moon is reminding: don’t be anything, listen to people and come to serve. Don’t show people that you achieved a maqam or station and you don’t want to do anything. It means now then that arrogance is coming in and the moon is reminding from the highest level to the lowest level: we took a path to be nothing. If people should begin to feel you are something, you are in trouble with the sun and then the pelting and the attacks begin until the moon retreats and stands at its level and its had (limit) that we took a path in our life not to be anything, not to give the appearance of anything, not to make people think that we are something. A reminder on these holy nights, these are the nights in which Allah (AJ) is bestowing immense light, immense blessings that we took a path in which to love Sayyidina Muhammad ﷺ and whatever sourness and testing we go through in our life, that those are like rocks of love. As much as the person becomes bombarded in life, as much as they draw closer to Prophet ﷺ. All came to teach, Sayyidina Bilal al Habashi (as) came – this is why our teaching, but I don’t know how many people actually listen until something happens in their life. The Companions were tortured for the love of Prophet ﷺ, not for Allah (AJ). You can love Allah (AJ) and nobody knows it. You keep it in your heart and ride on the bus. As soon as you put that turban and walk with that beard, and show yourself as Muhammadiyun everybody is going to bother you, everybody is going to attack you. Then if you are within the turuq (spiritual way)and everybody becomes jealous of you and everybody begins to bombard you. You say, “Ya Rabbi what is this? 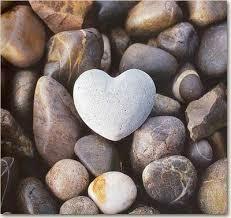 How come this is not a path of love?” He says no, this is a different type of love. 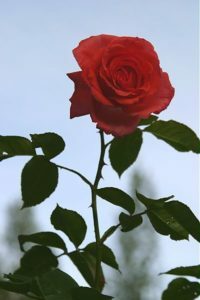 You come up the thorns until one day you can be dressed by the fragrance of the rose. But this path of ours is a path of thorns and every time we have a mushkilat and difficulty and every time we are become angry and every time we are becoming overwhelmed, then every time we are saying, “That’s it, I am not doing it again!” It is very easy, just sit where you are and don’t do anything again. “If you want the moon, do not hide at night. If you want a rose, do not run away from the thorns. How many times Mawlana said, “that is it, I am quiting”, and I said, “I am quitting, that is it, I am quitting.” There is no quitting because the next day they tell you, “Where are you going? Walk the thorns,” and you say, “but these thorns hurt, my feet are cut up, I am tired.” They say, “You gotta keep going until you can take your last breath.” By the end they are tired and they are ready to go, they are ready to go. But if you are looking for ease, then you have to look for something else. Allah (AJ) says, “With difficulty comes ease, with difficulty comes ease.” (94:4-5) Surat Inshirah (Chapter 94 of holy Quran) is for our heart. 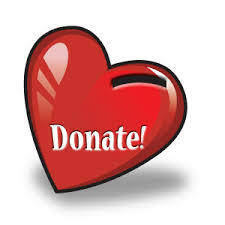 The heart to open, there has to be difficulty and ease, difficulty and ease; the womb of a woman is in contraction and expansion; the earth is continuously in earthquakes and expanding, earthquakes and expanding, our whole life is about that reality. 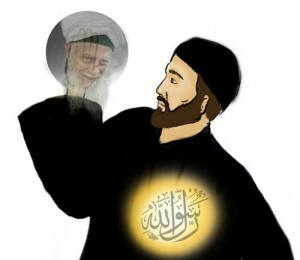 “Ya wahab ya wahab ya wahab, ya musabibal asbab, ya mufatihal abwab ya muqallibal quloob wal absar, ya dalil al mutahireen”. Dalil al mutahireen because I am quitting, it is enough for me. That dua (supplication) is that everything is coming in every direction, “I am tired, ya Rabb…” That “ufawwidu amri ilAllah innallaha basirun bil ibad” that Allah sees your condition, He will send a relief, after difficulty will come ease, after difficulty will come ease, this is the way of Prophet ﷺ. “Ya Wahhab. Ya Wahhab. Ya Wahhab. Ya musabbibal asbab, ya mufattihul abwab, ya muqallibul qulubi wal absar. 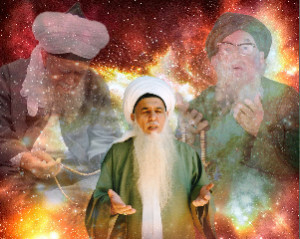 Ya Dalilal mutahayyirin, ya Ghiyathal mustaghithin, ya Hayyu ya Qayyum, ya dhalJalali wal Ikram. Wa ufawwidu amri illAllah, innAllaha basirun bil ‘ibad. “O Bestower! O Bestower! O Bestower! O Originator of causes! O Opener of doors! O Tuner (Changer) of hearts and eyes! 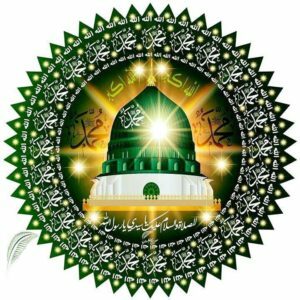 How much the Companions suffered for the love of Sayyidina Muhammad? How much did all the prophets suffer for their love of Prophet ﷺ? So how to make Prophet ﷺ happy is to endure through difficulty, through humiliating, and through testing, with good character, with love. And those that harm, ya Rabbi, forgive them for they don’t know what they are doing, but by means of them Allah (AJ) is raising you. So Allah (AJ) says: pray for them that Allah (AJ) forgives them and raises them too.